Pfc. George L. Holcomb, son of Mrs. Gertie Holcomb; husband of the former Leona Taylor. 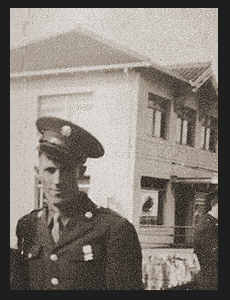 Entered Army in Sept.,1942, trained in Ft. Warren, Wyo. and Stockland, Cal. ; was discharged in Sept., 1943.